This entry was posted in Backcountry Skiing and tagged Eagle Cap Wilderness, Lee Trapp, Powder, Wallowa Mountains by Lee. Bookmark the permalink. good to see. Some of the snotels out there are showing high % of SWE, though I’m not sure what its pegged to, ‘averages’ for time of year or what… Have to admit more than a few thoughts have gone through my head so far this winter worrying about snow for our mid-march trip to the schni cab on the southside/cornucopia. Hows fixed heel treating you? 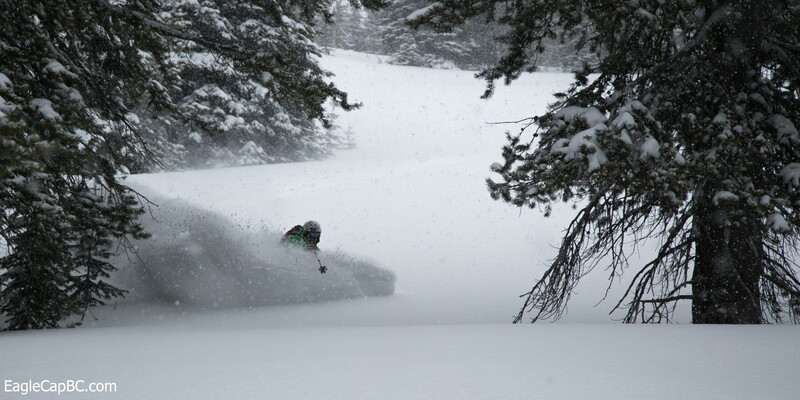 or given the fresh are you continuing joyous of knee dropping pow shots? We were in the central Caps at the beginning of the storm cycle and the moisture content was high below 7000′. Above that was dry snow. We’ve been on the eastern side the last few days and the snow has been amazing. I’ve taken the teles out a couple times but for the most been on fixed heels. 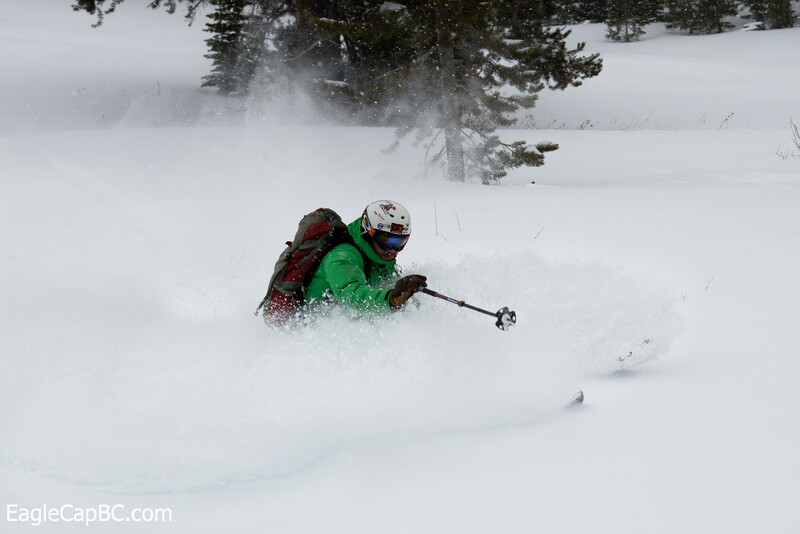 Pow turns are still fun!